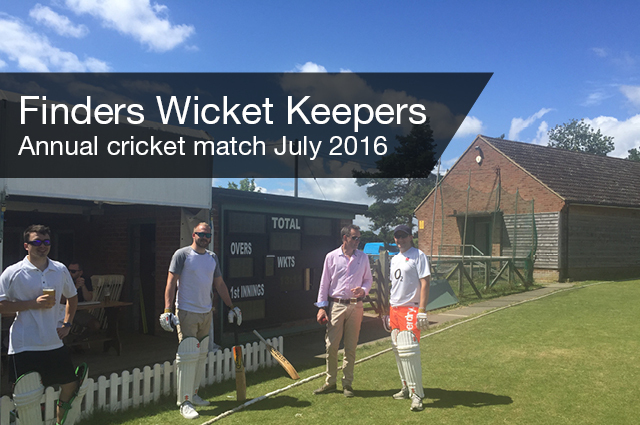 On Sunday 17th July 2016 we held our annual cricket match at the Horspath Cricket Club. The teams were a mix of Finders Keepers staff, Bricks & Mortar, contractors and family members. With ‘have a go’ beginners and more experienced players taking part on both sides. The rules for the cricket were simple: 20 overs per team, you couldn’t be out first ball, retire after 30 runs and bowlers were restricted to 4 overs each. It was a great day in the sunshine with some fantastic cricket, locally brewed beer, a superb barbeque and traditional tea. The game match turned out to be very close this year and everyone thoroughly enjoyed the afternoon. Every year we feel like the event just keeps getting better and better and we would like to thank those who helped make the day a success as always.